Greenman & The Magic Forest is an enchanting pre-Primary course based on the adventures of two children, Nico and Sam and their encounter with the magical protector of the forest – Greenman. 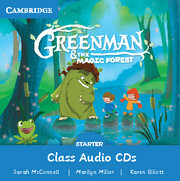 The Audio CDs for class use include all songs, chants and Big Book stories used in the course. 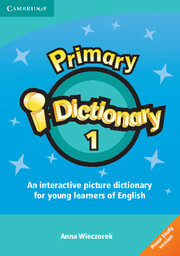 The audio transcripts for each of these are included in the Teacher's Book. Animated stories, songs, worksheets and flashcards, plus all the vocabulary needed for the Cambridge English: Young Learners (YLE) test.